There's no secret to the Ford Fiesta's title of Britain's best-selling car. It's good value, practical, nimble and fun to drive - plus it's economical too. A new version of the car was launched in 2017, so there's an enormous amount of choice available on the new and used market. The older, cheaper car, provides an excellent combination of comfort and driving fun; while the newer model offers this, along with extra space and improved technology - for a slightly higher price. You've also got a vast range of trim levels to choose from: some focused on value, others on luxury, performance or technology. There are dozens of options available on BuyaCar, with 1048 Ford Fiestas currently available to buy. We've selected some of the best and most popular models below, which are typically available with new car discounts, or with savings as nearly new cars or used models. Read on for our pick of the best Ford Fiesta deals click below to jump to the latest prices for the model that you're interested in. Current-model Fiesta Zetecs have all of the equipment that you need, with a sprinkling of extras. These include 15in alloy wheels, an 8in touchscreen with digital radio, Apple CarPlay, Android Auto, and Ford's latest Sync 3 software, with voice recognition and a responsive screen. The car also comes with a heated windscreen and safety pack, which includes a lane keeping aid that will nudge your car back into line if it strays out of its lane. There's the option of an automatic gearbox, as well as an efficient EcoBoost petrol engine; a less-powerful petrol engine badged Ti-VCT that's cheaper to insure, and a diesel. Before November 2018, Zetec models only came with a smaller 6.5in touchscreen as standard, but models fitted with the B&O pack have the larger 8in screen and a better stereo. The older Ford Fiesta Zetec had a similar specification to the current car, with heated windscreen, alloy wheels and air conditioning. The dashboard display was extremely small by today's standards, and there was also an optional City Pack that included power-folding door mirrors and rear parking sensors. 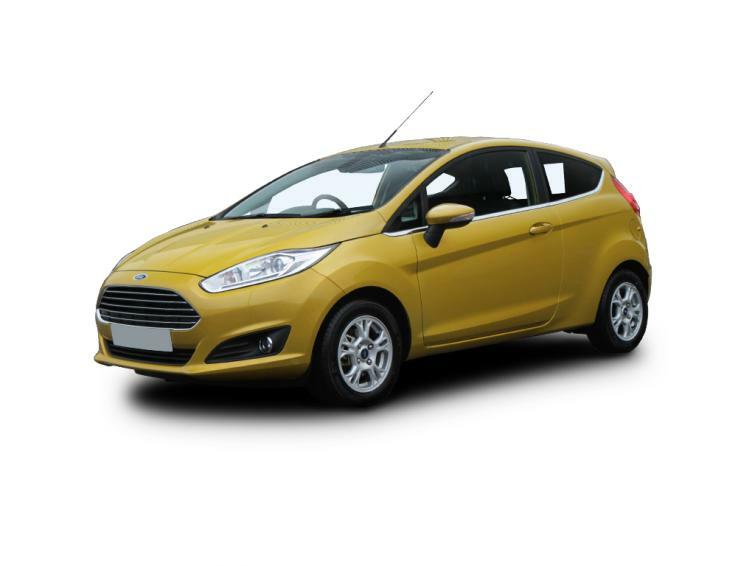 Click below to configure a brand new Ford Fiesta Zetec and check the latest savings. Fiesta Titanium cars have larger 16in alloy wheels, compared with Zetec models and they also add sat-nav, an improved stereo, keyless start, climate control, cruise control and rain-sensing wipers. Auto high-beam lights can flick between high- and dipped-beam to avoid dazzling other cars. Other useful touches include an armrest between the front seats, power-foldable mirrors and a digital display next to the speedometer, so it's easier to see key information. They are also available with more powerful petrol and diesel engines. Until November 2018, these cars were offered with a B&O Pack with an upgraded stereo. Pre-2017 Fiesta Titanium models came with similar updates to the current car, including 16in alloy wheels, a Sony stereo with digital radio, power-folding mirrors and rain-sensing wipers, as well as the front seat armrests. Click below to configure a brand new Ford Fiesta Titanium and check the latest offers. Titanium X Ford Fiestas are pitched as more luxurious models, and include partial leather heated front seats, a heated steering wheel, a B&O stereo and keyless entry. There are also electric rear windows, so passengers in the back don't need to wind them down. Parking sensors are optional. The car comes with the same petrol and diesel options as the standard Titanium version. In one sense, the last Fiesta Titanium X was better-equipped than the current car because it came with a rear view camera and parking sensors, in addition to the part-leather heated seats, keyless entry, and electric rear windows. Looking for a brand new Ford Fiesta Titanium X? Configure a car and check the savings by clicking below. The sportier ST-Line has firmer suspension that makes the car feel more agile in corners, but a little bumpier on rough roads. This version is also available with a more powerful 140 horsepower (hp) petrol engine for faster acceleration. Large alloy wheels, more aggressive styling and a rear spoiler above the back window mark out the ST-Line. Inside, there are sports-style seats, a flat-bottomed steering wheel and the same 8in touchscreen fitted to the rest of the range. You'll need to upgrade to ST-Line X - a more luxurious trim level - for sat-nav, tinted rear windows, part-leather seats, cruise control and climate control as standard. ST-Line trim was added to the last Ford Fiesta in 2016 and included similar styling upgrades, 17in alloy wheels and the option of the more powerful 140hp engine. For the latest brand new Ford Fiesta ST-Line offers, click below to configure a car. New for this generation of Ford Fiesta are the Active models, which are slightly higher and look more rugged thanks to extra plastic exterior panels. In reality, the car is little different to drive, with no extra space inside. Entry level Active 1 cars include all of the equipment that comes with standard Zetec Fiestas, as well as larger 17in alloy wheels, electric rear windows, silver roof rails and driving modes that slightly reduce your chances of getting stuck on slippery surfaces. There's also an Active B&O model with a yellow colour theme, black painted roof and roof rails, B&O stereo, cruise control and rain-sensing wipers, in addition to Active 1 trim. Active X cars also build on the Active 1 trim, with sat-nav, keyless entry and start, part-leather heated front seats, climate control, cruise control, rain sensing wipers and a rear view camera with parking sensors. 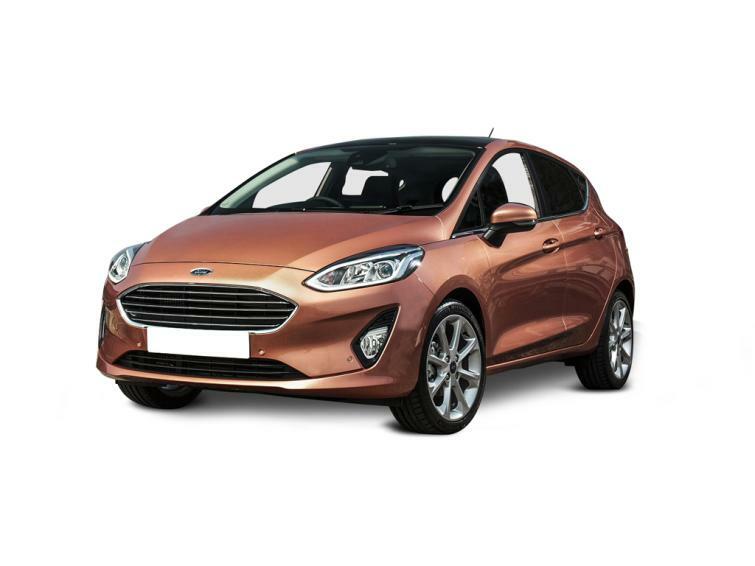 Click below to configure a brand new Ford Fiesta Active and check the latest offers. The hot-hatchback Fiesta ST is the fastest and most fun version of Ford's small car, thanks to a powerful 200hp engine and mechanical upgrades to increase grip and agility in corners. ST-1 models add to ST-Line specification with 17in alloy wheels, Recaro sports seats, sports suspension and selectable drive modes for tweaking the feel of the car. ST-2 models have climate control, heated sports seats, rear tinted windows, blue stitching on the seatbelts and a B&O stereo, while ST-3 cars have sat-nav, rear view camera, leather front sports seats and larger 18in alloy wheels. The last Fiesta ST is arguably more fun to drive, with its non-turbocharged engine that needs revving to get the best out of it, and with less weight for a more nimble response. The most luxurious Ford Fiesta includes 17in alloy wheels, a panoramic roof, black leather heated seats, and a unique wavy grille. The price of this is way over £20,000 when new, but used cars look more reasonable: there are often generous discounts on brand new models too. Looking for a Ford Fiesta Vignale? Click below to check the latest discounts and configure a car.